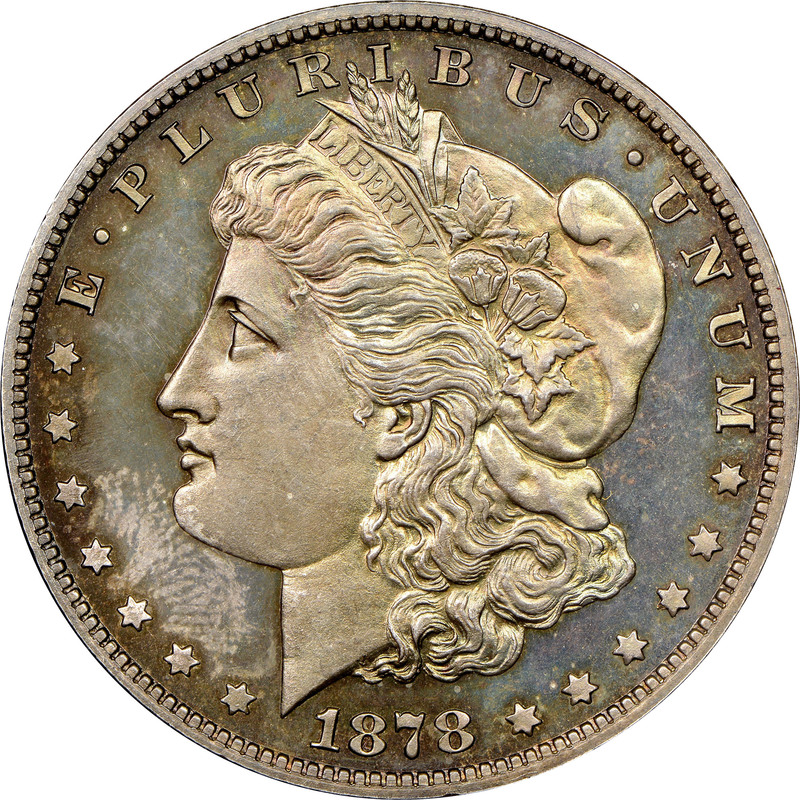 In 1878, the brand new Morgan dollar design made its debut. The original design featured an eagle with 8 tail feathers. However, it was soon discovered that this was an incorrect number as bald eagles always have an uneven number of tail feathers. 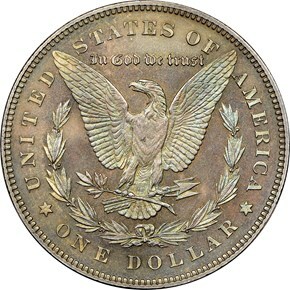 Some 500 proof Morgan dollars were struck with the 8TF design before the change was made. 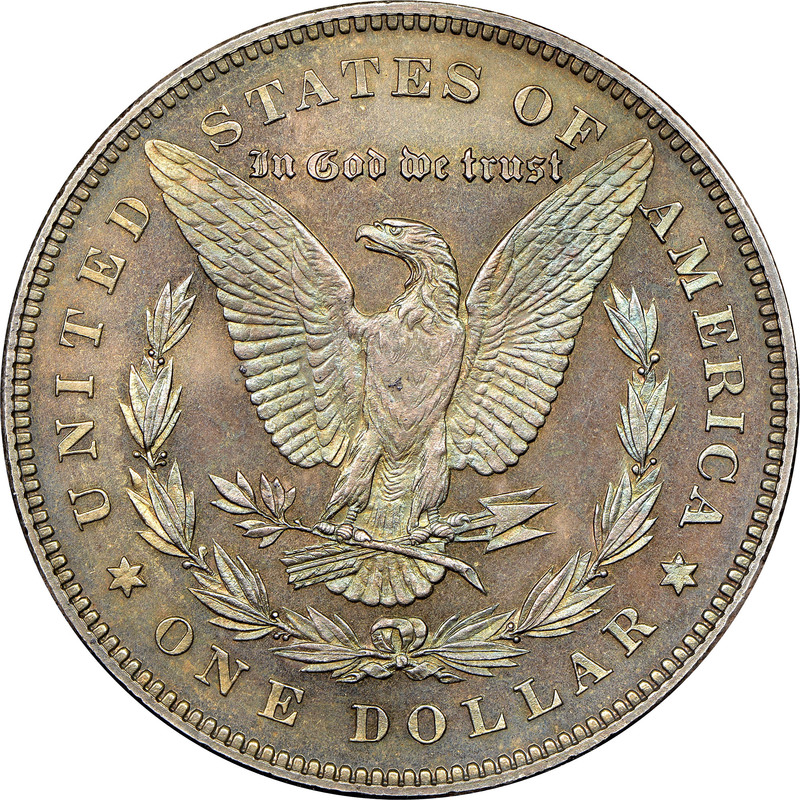 Another change was made for 1879, which involved some modifications to the reverse. These changes include making the Eagle's breast more rounded and changing the parallel top arrow feather to a slanted one. Most 7TF reverse proof Morgans struck in 1878 feature the reverse of 1878, and it is estimated that the number of those struck with the reverse of 1879 is perhaps 50 or less.